Winter is such a magical time in Europe, towns and cities are transformed into a winter wonderland. Travel across the continent and discover some of the most festive Christmas markets in Europe. Indulge in the celebrations with the sound of Christmas carols as the aromas of gingerbread and mulled wine fill the air. What better way to kick off the festive celebrations than diving into the magical atmosphere at the Christmas Markets. 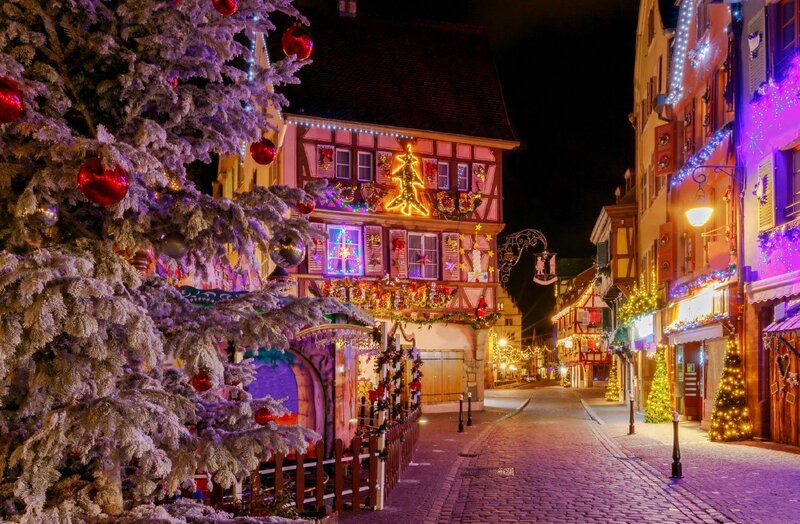 Here are 11 Christmas markets in Europe which are worth a visiting. 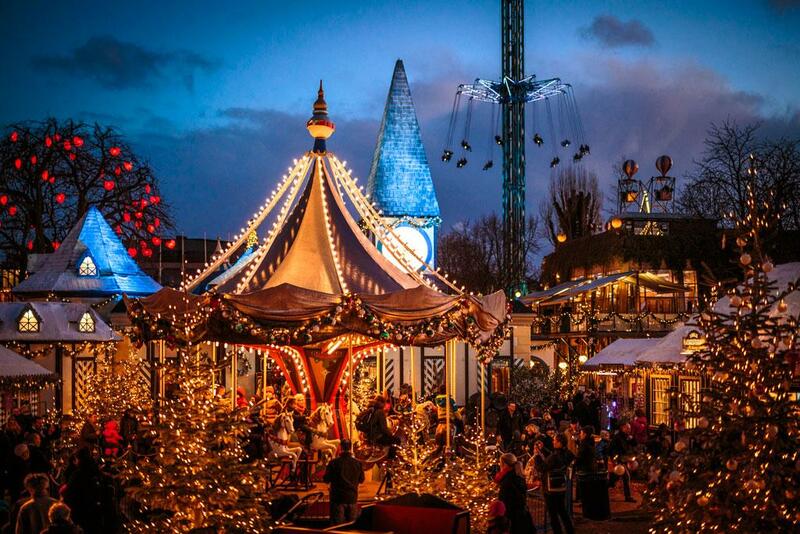 The Tivoli Gardens in Denmark is transformed into a festive wonderland during the winter holidays. The garden is draped in twinkling lights, with more than 1000 beautifully decorated Christmas trees and over 70,000 baubles hang around the garden. There are over 60 Christmas stalls which are bursting with decorations, souvenirs, sweets, mulled wine and many other Christmas delicacies. Take a stroll through the stalls, experience the Tivoli Youth Guard’s illuminated parades and get yourself in the festive spirit at this Christmas market. 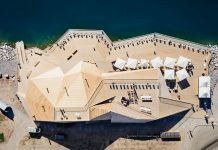 The capital of Croatia has been listed amongst the leading Christmas markets in Europe for several years in a row. Zagreb’s main square and the adjacent Zrinjevac Park completely transformed for Christmas festivities. 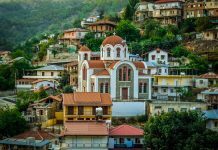 During the holiday season, the centre of the city is occupied by numerous beautifully decorated stands where you can sample the traditional delicacies and take home a piece of the tradition with you with many gifts and souvenirs stands. 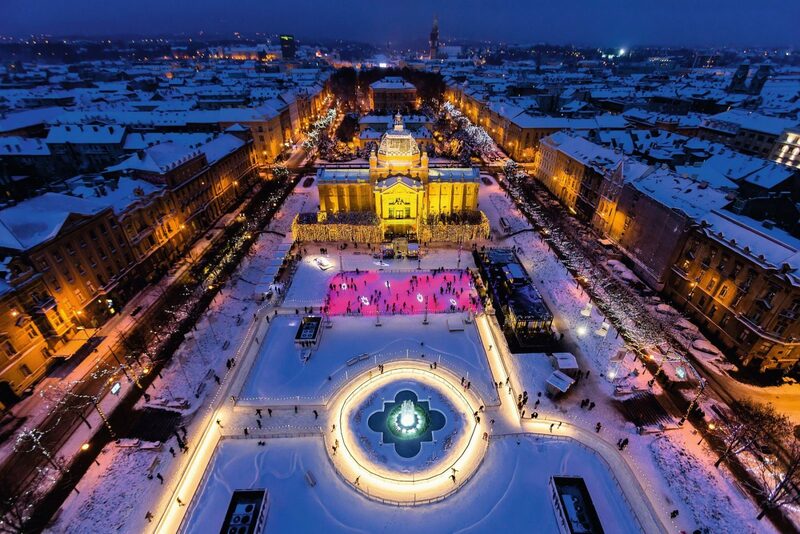 There’s plenty more at the Zagreb Christmas market including an ice skating , various performances along with concerts and Christmas tales. Dating back to the 15th century and representing Germanys most popular and oldest Christmas market is the Dresden Festive Fair. With the city’s impressive architecture all lite up in the background this Christmas fair offers a picture perfect setting. What is even more impressive is that this fair is the host to 11 different Christmas markets. The decorated Christmas markets are bursting with traditional foods, mulled wine, handmade crafts souvenirs and so much more. One of the must-try is a sweet delicacy traditionally called Hefestriezel but now it is known as Dresden Christstollen or the German Christmas Cake. Along with the grand market, there is a huge pyramid which stands upright along with exhibitions and concerts taking place. 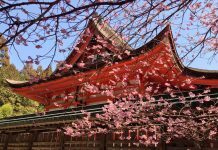 This northern town has been attracting visitors from all over the world due to its architecture, culture and particular atmosphere for many years. 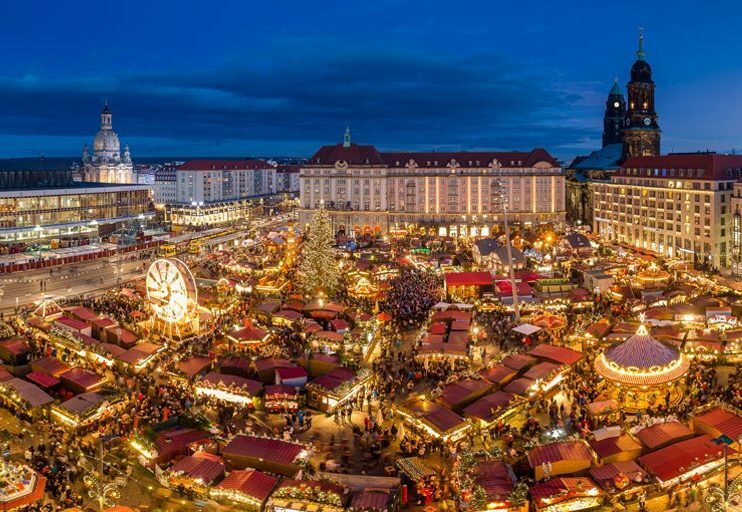 The Christmas season is no exception, which is why its Christmas market in Europe worth visiting. The tiny squares abound in holiday fairs offering local specialities. The Christmas lights and decorations simply add up to the dreamlike ambience. 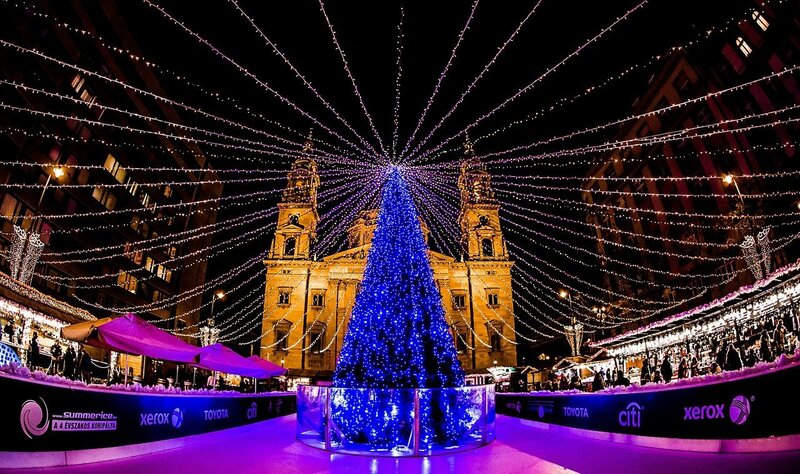 All the Christmas-themed events revolve around the St. Stephen’s Basilica and the city’s main squares in Budapest. Alike other Christmas markets in Europe, Budapest presents a range of holiday fairs and activities with a particular ethnic touch. Here you can experience different local delicacies including the world-famous Hungarian chimney cake. This cylindrical pastry being named Kürtoskalács in Magyar and served mainly at weddings along with various snacks will lead to a total gastronomical ecstasy. Some cute handicrafts will perfectly crown your Hungarian trip. 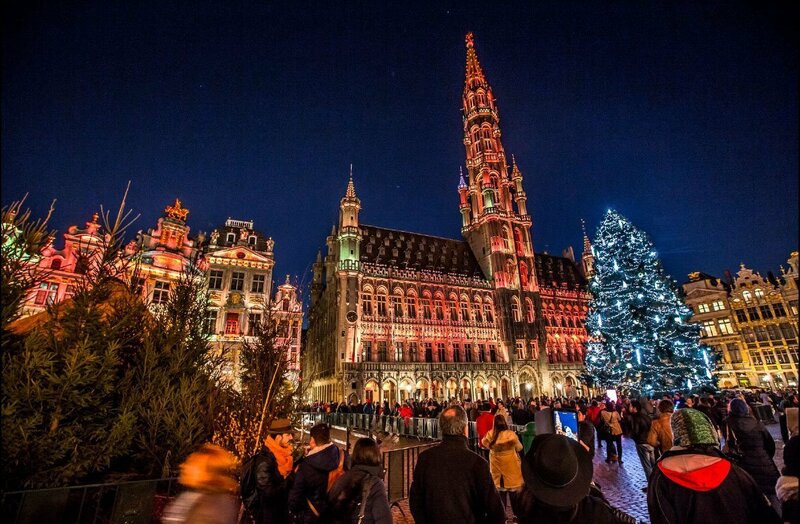 Brussels offers a great variety of Christmas events from the end of November. You will be able to witness here the famous live show and video mapping. Together with an imposing Christmas tree, it aims at creating a perfect festive atmosphere at the Grand Place. Plus the Ferris wheel and merry-go-rounds in the aligning areas make the city an ideal destination for Christmastime. Illuminated Christmas market will be at your full service for savouring Belgian chocolates, waffles, cheese and mulled wine. 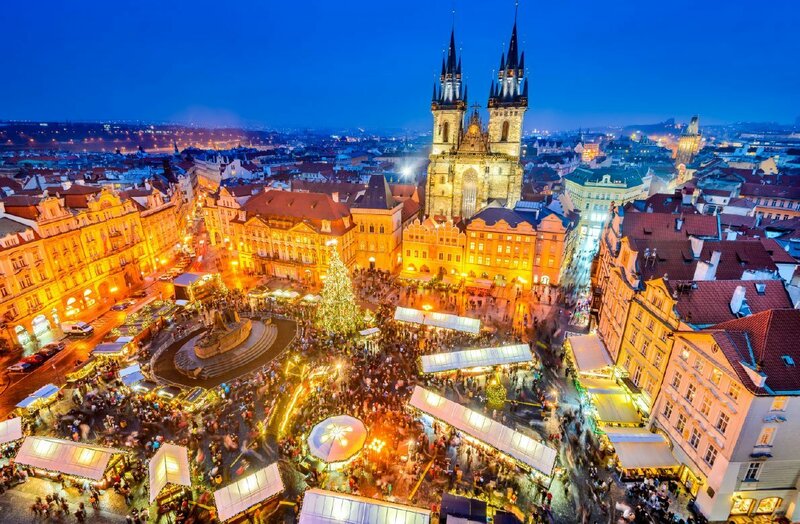 Another great place for passing your winter holidays and exploring one of the best Christmas markets in Europe in Prague. The major sites of amusement are represented by the Old Town and Wenceslas Squares. 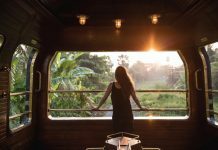 The Christmas huts are scattered here and there allowing the city visitors to enrich their collections with beautiful handicrafts while tasting local food and beverages. Children will be able to entertain themselves on a special playground. The renowned Nativity scene and a number of concerts held in Churches and historical buildings make part of traditional Christmas festivities. Yet the subject matter of the forthcoming events in Prague will be disclosed only by the end of the month. 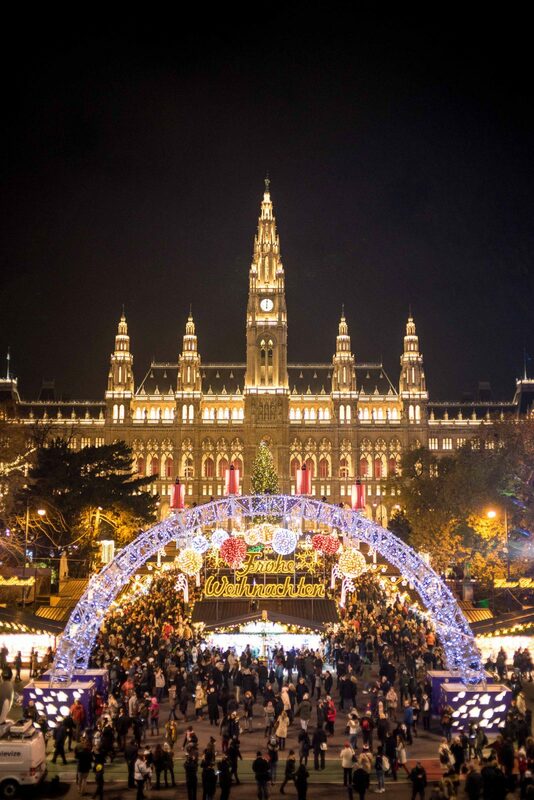 The arrival of Christmas might well be the most impressive event in Vienna, Austria. Each square and building is mantled with festoons speaking to the mood of visitors. Roughly 150 chalets make up the festive markets at Schönbrunn and Freyung being part of the most remarkable Christmas markets in Europe. Culinary specialities, hot drinks, holiday gifts and decorations are going to add up to your Viennese memories. The jovial atmosphere is strengthened by the Christmas choirs and music around as well as by a huge ice platform in the city centre. 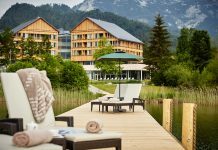 If you opt for a quiet and peaceful holiday ambience, Vienna is the right choice for you. 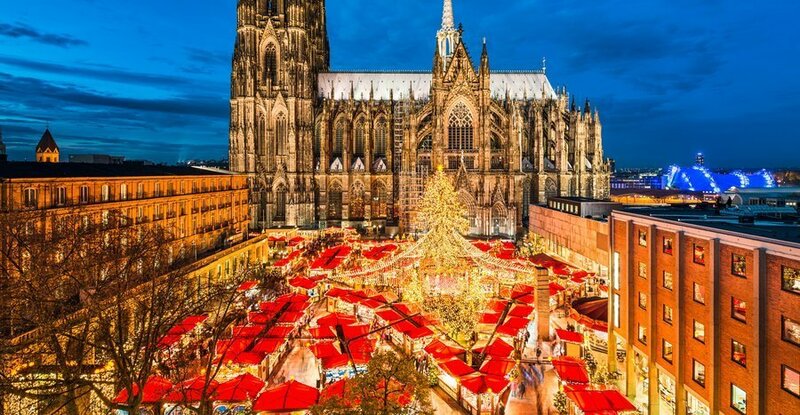 No less exciting variation of Christmas markets in Europe is exhibited every year in Cologne. Spread throughout the city, the embellished booths offer a wide selection of gastronomical delights and handmade objects. The upcoming festive events promise some indelible memories. 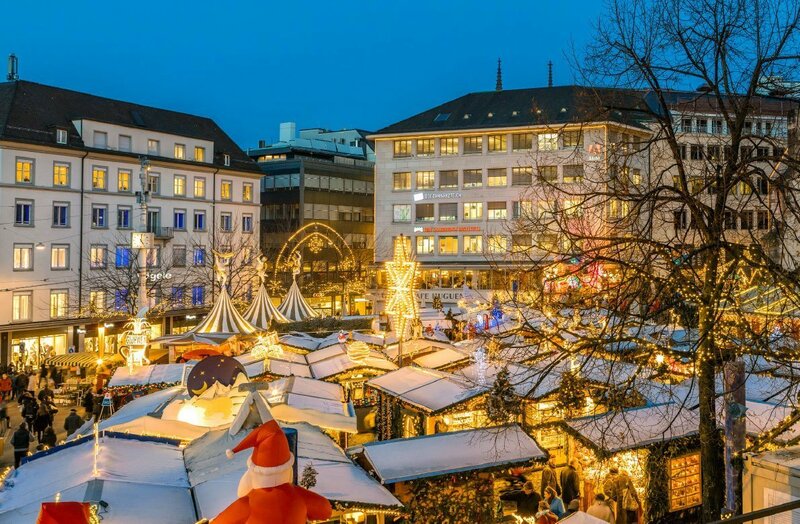 Switzerland’s one of the most notable Christmas markets takes place in Basel. The city’s main squares welcome their guests with golden glitters and a number of down-to-earth delights like local gingerbreads, waffles and wine. Meanwhile, the spectacular Christmas tree with the decorations by Johann Wanner will affect every passer-by. 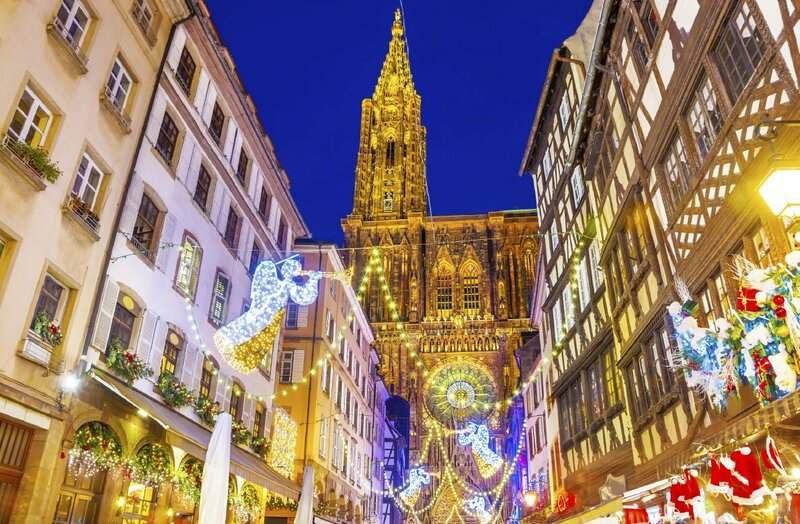 Representing the centre of the Alsace region, Strasbourg with its famous Christmas markets in Europe offers a rather German-influenced atmosphere during the festive season. Although the city can’t boast of great sizes, the annual Christmas markets here take pride in their profusion. Indeed, there are 11 Christmas ‘sales points’ all over the city. 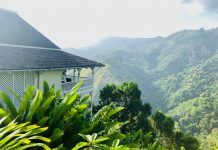 Each one displays its own peculiarities introducing the best of local delicacies, wines and handicrafts. You will also have the chance to enjoy one of a kind Christmas tree thoroughly embellished with garlands and decorations.